After officials began to remove tigers from Thailand’s Tiger Temple this week, they discovered 40 dead cubs in a freezer. The temple, marketed as a sanctuary, has been accused of animal abuse, wildlife trafficking, and breeding tigers illegally. Monks at the temple deny the accusations. Controversy has shrouded the temple for years. 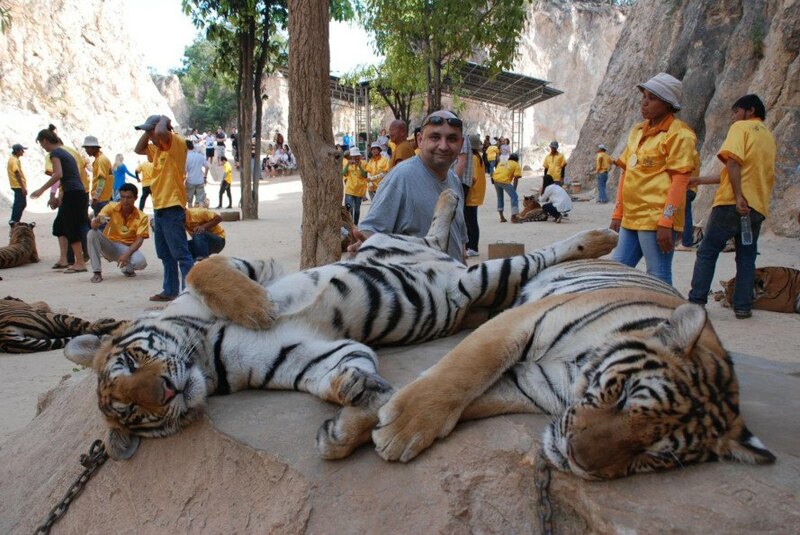 Visitors reported tigers seemed drugged, ex-workers said they weren’t fed properly, lived in concrete cages, and received beatings from so-called caretakers. Others suspected illegal breeding to sell tiger parts utilized in traditional medicines. According to the World Wildlife Fund (WWF), in 2007 there were 18 tigers at the temple, but by this year that number rose to 147. Wildlife groups have been working for the tigers’ release since 2001. The BBC reports that Thailand’s Department of National Parks (DNP) attempted to seize the tigers but multiple times the monks would not allow them to enter the temple. This current raid is successful because the DNP came armed with a court warrant. So far dozens of tigers have been rescued, but babies were found in the freezer. Police Colonel Bandith Meungsukhum told AFP that the find would lead to criminal charges. Officials were unsure how long the cubs had been frozen, but many appeared to have been alive for only one or two days. Reporters and wildlife officials noted other animal body parts and a dead boar in the freezer. The temple says several years ago a vet told them to keep the cubs, “probably” to silence accusations they were trafficking the cubs. The discovery will likely lead to criminal charges. After officials began to remove tigers from the Thailand Tiger Temple, they found dead cubs in a freezer. There were forty dead cubs and other animal body parts. 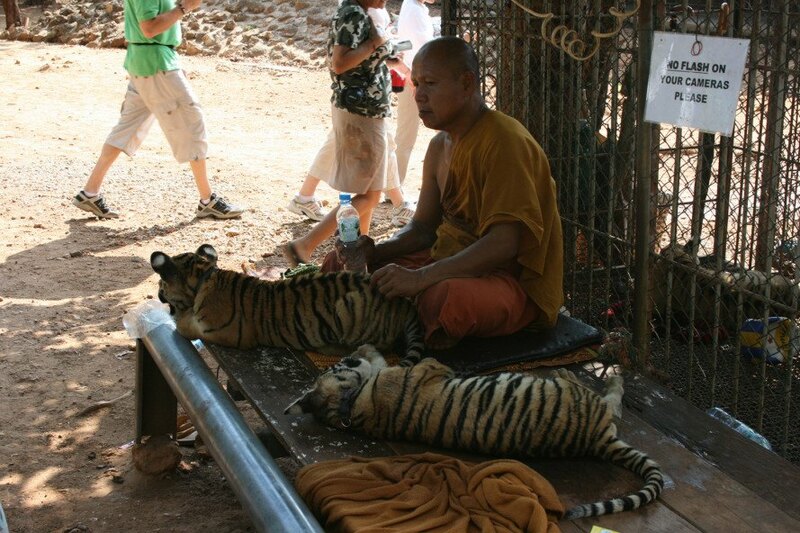 The temple has been accused of breeding tigers illegally, abuse, and wildlife trafficking.